Chelmsford Avenue in Ranelagh, where the decades-old grenade was found in a garden yesterday. AN ARMY explosives team carried out a controlled explosion last night on a hand grenade thought to date from the War of Independence. 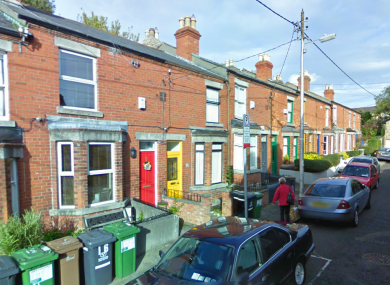 Gardaí summoned the unit was dispatched to a house in Ranelagh yesterday evening after a resident found the grenade while performing some routine excavations. The badly-corroded grenade was examined on site by the Defence Forces’ explosives ordnance team before being rendered safe for transportation. It was then brought to Ringsend Beach where a controlled explosion was carried out. The scene was declared safe at 6:50pm. Email “Controlled explosion carried out on War of Independence grenade”. Feedback on “Controlled explosion carried out on War of Independence grenade”.